KidsFit Cardio Kids 677 Deluxe Skier is the most fun way to lead children towards an active lifestyle is by duplicating real world sports movements! This skier allows them to imagine themselves in the Olympic downhill ski race while elevating their heart rate and improving balance. Great for children of all ages! (7+) Experienced users eventually ski without use of the safety handrails! Tension is adjustable. Call 1-800-875-9145 to speak with one of our fitness advisors with any quesitons you may have and learn more about our Kids Fitness Equipment. Go to FitnessZone.com today to order the KidsFit Cardio Kids 677 Deluxe Skier Junior! 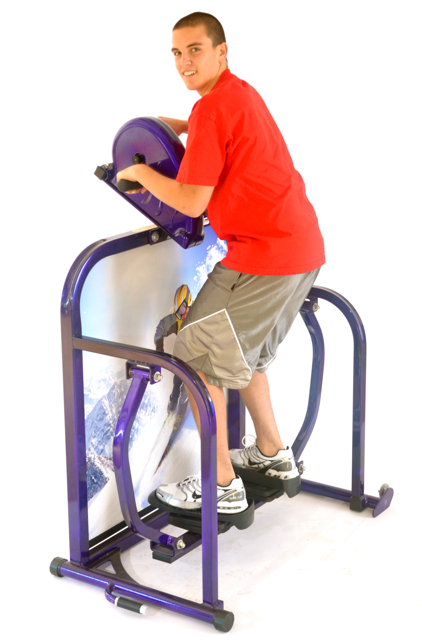 Order your KidsFit Cardio Kids 677 Deluxe Skier Junior from FitnessZone.com today!